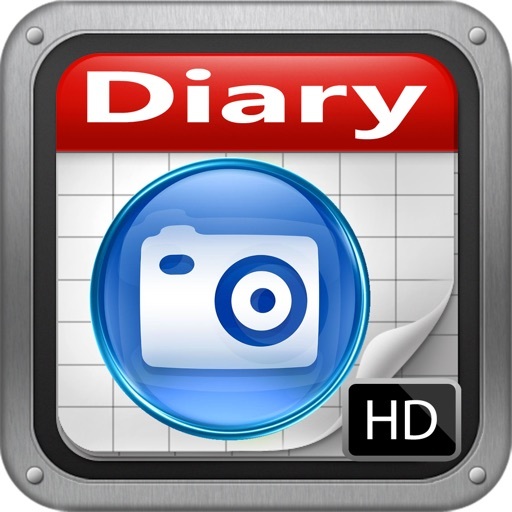 "My Photo Diary HD with GPS" is a mobile diary that you can always carry with you on your iPhone or iPod touch. This is the easiest way to record your thoughts, photos, inspirations and feelings wherever you are. We've even added GPS awareness so the app can automatically save the address/location where you were when you create each journal entry in your diary. Most successful people have a private diary to improve themselves. Download and start to use My Photo Diary HD with GPS now, and enjoy the many benefits. 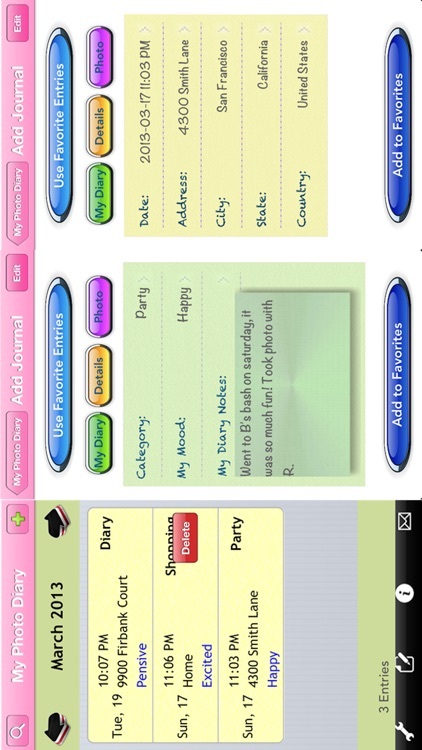 Your diary is private and personal so of course we added password protection so only you can read your diary. Just go to the Settings page and select Passcode Lock. On the main screen, push the + button to add a new entry and start typing away. The app will automatically save the date and time for you, together with your location if you've said yes to allowing the app to track your location during startup. Of course if you prefer you can type in your own preferred location details or friendly names like home, school, work, favorite shop etc. 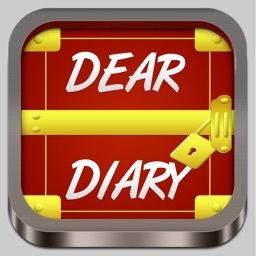 As soon as you start the app you are presented with a list of your diary entries, ordered by date and by month. 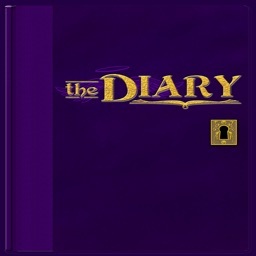 To view a diary entry, just touch it! It's that easy. When viewing an entry you can always touch the Edit button to easily make changes to your journal entry. You can even change the date and time of an existing entry. And if you want to send your diary entries by email to yourself or someone else, simply push the Email icon on the main screen, and choose the date range. You can narrow down the selection by simply tapping the specific entries you want to send, from the list generated. 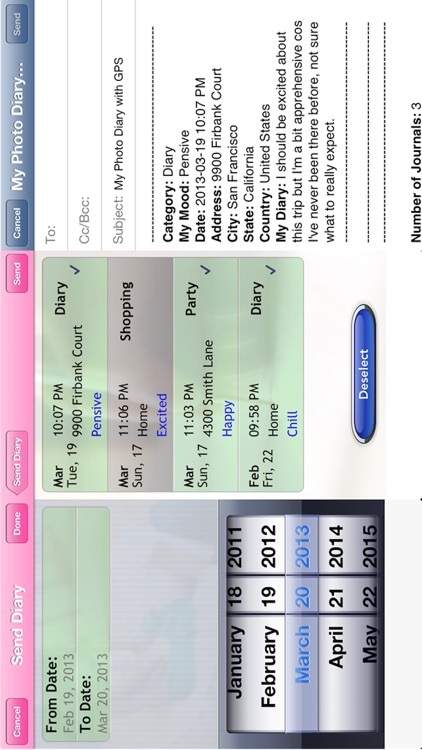 The app will create the email for you, all you need to do is choose who to send your diary entries to. If you want to search for one or more specific entries, just tap the search button on the top left corner of the main screen. Type in the keyword to search on, and the app will kick off a full-text search on your journal entries and the full address/location details (including city, state and country). You no longer have to try and remember where you were when you took that photo or had that inspiration, My Photo Diary HD will do that for you! * Create multiple journal entries per day. * Quick month/calendar view shows details of all your diary entries sorted by date, and displays the total number of entries for each month. * Filter, select and export your diary entries automatically into email body + report summary file attachment (you can email it directly to yourself or other people). 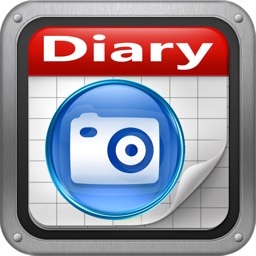 * Search easily through your diary journal entries. * GPS integration to identify and determine your location when creating each journal entry. 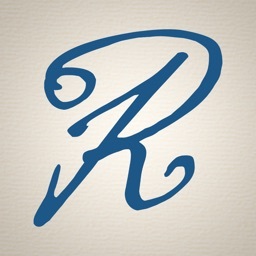 * Save your commonly used locations/addresses, cities, states and countries and reuse them again for new entries, no need to type them each time. * Delete by swiping on an entry, or tap the Edit icon. Contact us via the Support link if you have any issues, rather than leave negative reviews. Our team will aim to help you better use the app and assist with any issues.